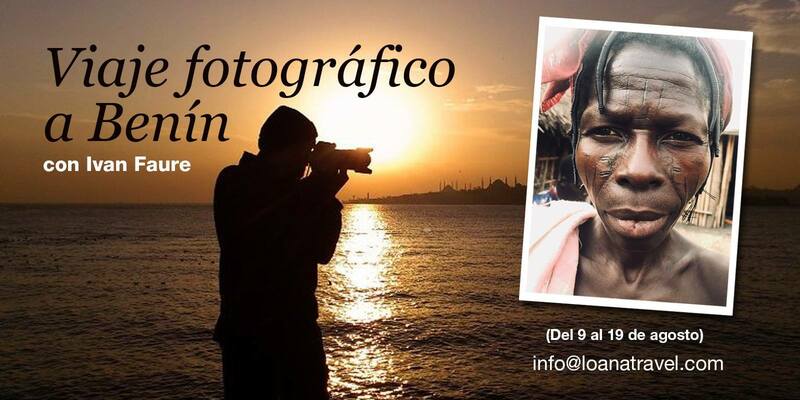 (Esta opción es opcional, quien no desee hacer el curso fotográfico, hará otras actividades con el guía local o tendrá tiempo libre). En este viaje iremos acompañados de un guía local que habla inglés, francés y español y que tiene más de una década de experiencia como guía en este país. En Benín podremos visitar tribús únicas y rituales vudús entre otras muchas cosas. Para más información, escribid aquí: info@loanatravel.com o podéis escribirme por privado. Estáis invitados a disfrutar de una auténtica aventura africana… ¡¡¡Os espero!!! 1- Discover a country that is still “virgin” of tourism. 2- I will share all the tricks travelers learned after 18 years traveling alone so that you can apply them in the following trips. 3- We will do several photo shoots a day to learn how to make portraits, good landscapes, everyday situations, how to “find” images and get close to the locals to take photos, and of course, the technique to return from a trip with a good album to Remember all of life. (This option is optional, who does not want to do the photographic course, will do other activities with the local guide or have free time). On this trip we will be accompanied by a local guide who speaks English, French and Spanish and who has more than a decade of experience as a guide in this country. In Benin we can visit unique tribes and voodoo rituals among many other things. For more information, write here: info@loanatravel.com or you can write to me privately. You are invited to enjoy an authentic African adventure … I wait for you !! !